Lost amid the partisan posturing over the proposed repeal of ObamaCare is a stark, unavoidable fiscal reality. 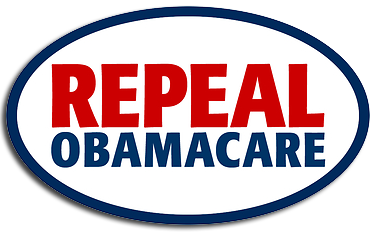 Put simply: Our leaders have no choice but to scrap this socialized medicine monstrosity and start from scratch with a free-market approach. Not only are ObamaCare’s unprecedented infringements on our civil liberties clearly unconstitutional, but American taxpayers cannot afford the new law’s expanded entitlements — particularly not in light of our current debt crisis and the impending Baby Boomer crush. The federal budget is caught in a pincer — leaving no room for ObamaCare or any other new spending. In fact the only way to escape the trap is to dramatically reduce the size and scope of government — immediately. Also our economy is clearly in no position to absorb hundreds of billions of dollars in tax increases — something President Obama seemed to understand last month when his lame duck Congress extended Bush-era tax relief to all income brackets. The question Obama and his diminished D.C. legions now must answer is this: If it was wrong to raise taxes during the lame duck session in December, what makes it wise to do so now? With even the most optimistic Keynesians (such as Federal Reserve Chairman Ben Bernanke) now predicting that the U.S. economy could take as long as five years to achieve “sustained declines in the unemployment rate,” ObamaCare’s tax hikes loom even larger as job killers. This is particularly true of the tax increase on upper income earners — many of whom invest their money in partnerships and LLCs that in turn fuel small business growth. Astoundingly, the same fiscal liberals who added more than $4 trillion to the national debt over the last two years are now not only raising taxes through ObamaCare — but feigning outrage over the “deficit spending” that would result if the program were repealed. In support of this twisted logic, the Keynesian number-crunchers over at the Congressional Budget Office (CBO) announced last week that repealing ObamaCare would add $230 billion to the national debt over the coming decade. Obviously these assumptions are pure fantasy — like the numbers the CBO released in March 2010 on the eve of ObamaCare’s initial passage. But how were they computed? First, the CBO is assuming that the $770 billion worth of “revenue enhancements” included in ObamaCare will have no adverse impact whatsoever on the nation’s economy — which is betting against history. Second, the CBO presumes that Congress will actually follow through on its promise to cut $540 billion from Medicare — which is betting against common sense. “Garbage in, garbage out,” Rep. Tom Price (R-Ga.) said of the CBO report. He’s not the only one voicing skepticism. 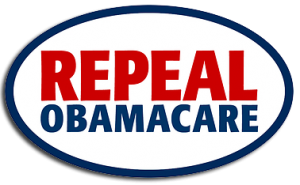 “The CBO, CMS, and even the IMF have all discredited the idea that ObamaCare would reduce the deficit, because they all question the sustainability of ObamaCare’s spending ‘cuts,’” writes Michael F. Cannon, Director of Health Policy Studies at the Cato Institute. “The spending cuts (actually, reductions in future spending growth) in the law were never going to take effect anyway,” Cannon adds. Obviously so — or else we wouldn’t be where we are today, staring down a fiscal Armageddon the likes of which human civilization has never seen. If our Republic is to survive this fiscal storm, then our leaders need to stop fabricating numbers and start confronting them. For example, they could recognize that the elimination of entitlement spending produces savings — not costs. And more importantly, they could recognize that in light of government’s mounting debt and the millions of new Medicare and Social Security enrollees projected over the coming decade – there is simply no room for any additional spending.